We perform studies 7 nights per week. All patient reports and data stay in Monroe at our facility for patient convenience. A sleep study is a safe and simple evaluation of how your body unctions during sleep. At our facility testing is performed by a egistered sleep technician. The information collected during a sleep study will help determine if you have a sleep disorder. It is similar to an x-ray to determine if you have a fractured bone. During your stay at our facility we are committed to providing; a quiet, private, safe, comfortable, "home-like" environment. Our qualified staff and state of the art monitoring equipment provide the most accurate test results for you and your physician. We are conveniently located off Lamy lane in Monroe, La. Our interpreting physicians are local and all of your records stay in our facility for your convenience. A staff member is available to answer your questions from 8a.m. to 5 p.m. Monday through Thursday, and8a.m. to 3p.m. on Friday. Are you getting the rest you need? 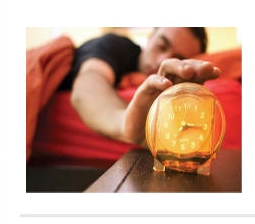 If you do have a sleep disorder, it is treated. Sleep disorders can important to be diagnosed and contribute to other diseases and conditions such as stroke, heart attack, high blood pressure, motor vehicle accidents and depression.